NEW DELHI : My 92-year old friend Jo would say: “Don’t retire at 60. If you lived to 90, you will regret those wasted years when poverty and emptiness hits as you age. If you passed away early, nothing is lost. But what if you lived really long?” So here are a few points to keep in mind. First, be sure you have enough money to meet your needs and more for at least 30 years after retirement—without depending on anyone. There are people who get carried away by a lump sum PF payout. They spend lavishly on travels and outings. Then as they age, they live miserably. Ensure that your math is correct. A simple rule of thumb is to have 20 times your current annual spend as your corpus. Include everything from the maintenance of your own house, to all bills and expenses. Entertainment expense today could become medical expenses later. 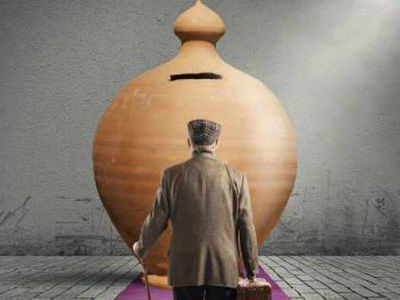 If you spend Rs 6 lakh a year now, you need a corpus of at least Rs 1.2 crore to retire. Second, if you are professionally qualified to practice for a fee—doctors, lawyers, chartered accountants for example—you can earn for as long as you like. Others need to find a second career that can add value. Begin your planning in your 50s. Decide what you want to do, and invest time, resources to meet people, build networks and equip yourself. Third, get a grip on the additional demands a new career will make on you. And, do not underestimate the speed at which things change. When your physical and mental faculties are not at their peak capabilities, you need to find other skills that can be valued. Fourth, think like an entrepreneur who can solve problems for which others do not have the time, knowledge or expertise. A retired English teacher is raking it in by teaching young GRE aspirants; she spends hours honing her skills to meet that demand. A retired bank officer who loves math is working for an online tutoring firm, creating innovative problems and short cuts to solve them; Geetha Mami is making ad revenues on YouTube, regaling her 100,000 plus subscribers with stories from her agraharam. She donates the proceeds to charity. Being clear about what you can do and finding ways to do it profitably, takes time and effort. Fifth, be wary of traps and tricks of unscrupulous operators who wait for retired folks who have age, stature and credibility. They encash qualities to further their goals by appointing senior citizens as selling agents, solicitors for clients and administrators of dubious enterprises. Ensure the job you take up is ethical and legal, and plays to your strengths. Sixth, do not slack on executing your plans. If you want to do something useful for society and do not care much for money, join hands with the many NGOs run by enthusiastic youngsters. Get started. Seventh, value your time so that you can monetise it for yourself, instead of wasting time on social media or watching every inane debate and serial on television. These activities do not count as networking, investment or expertise building. You need focused interactions that matter to your second career. Unless you are in that lucky place where you have enough, do not retire from earning a positive income too early. Relaxing at 55 should not lead to penury at 75. Protect yourself.